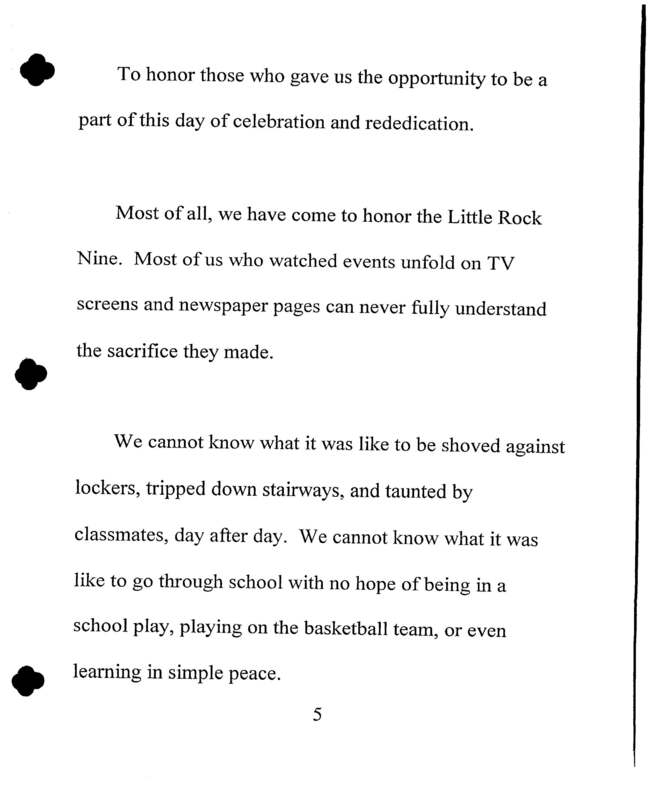 Remarks at Little Rock Central High. 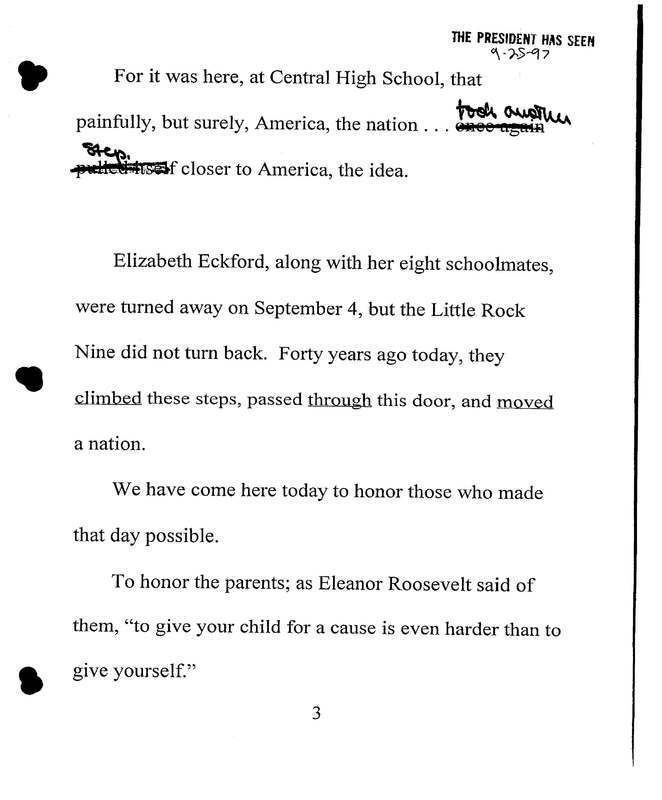 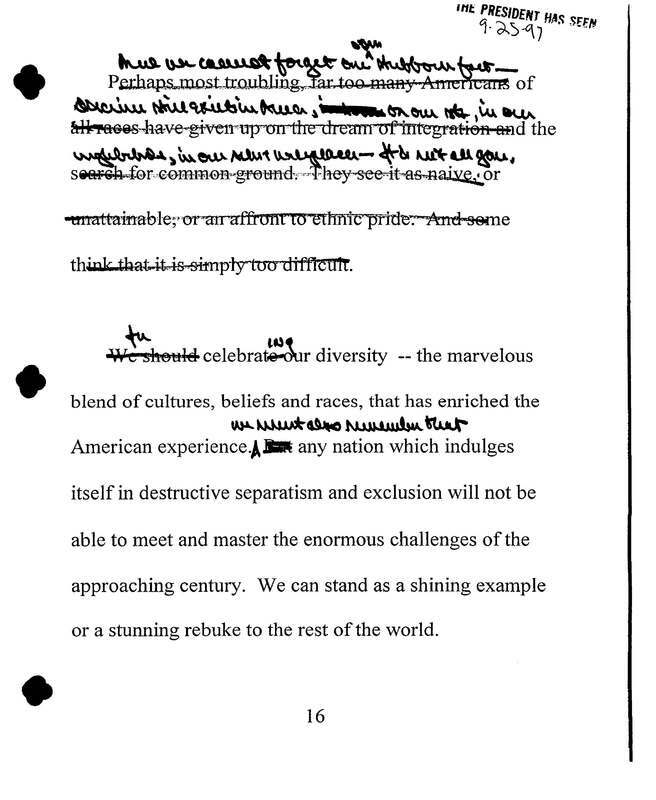 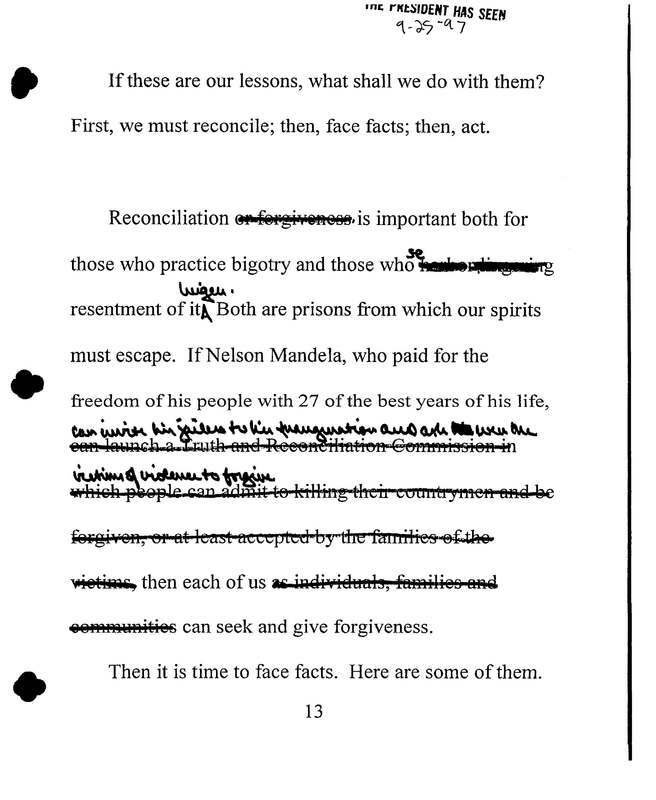 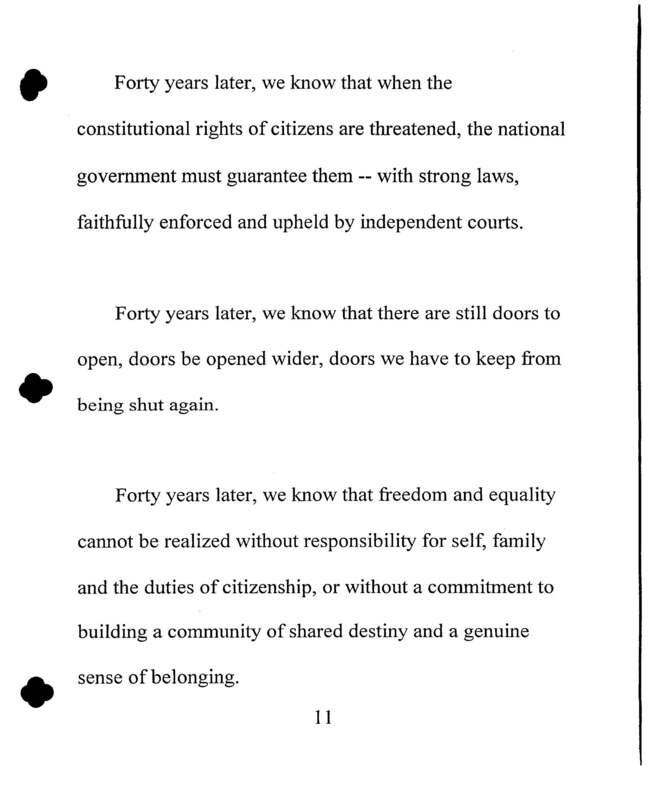 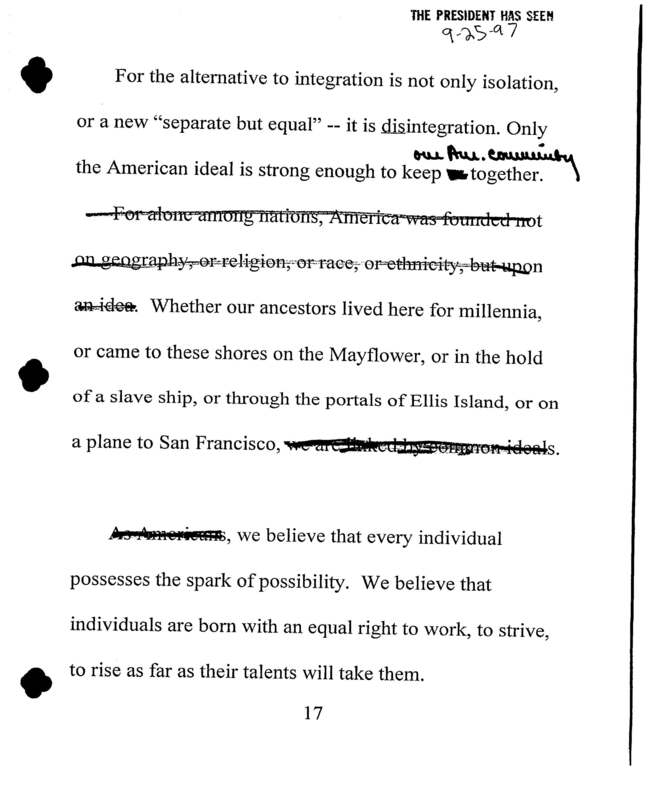 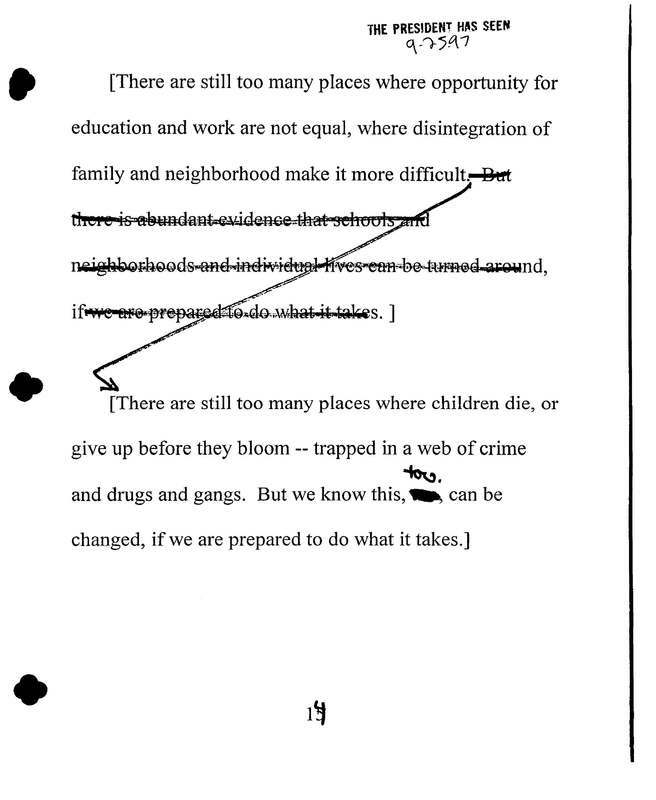 Remarks are dated 9/25/97 at 8 a.m. Draft contains President Clinton's hand written revisions including acknowledgements of those in attendance. 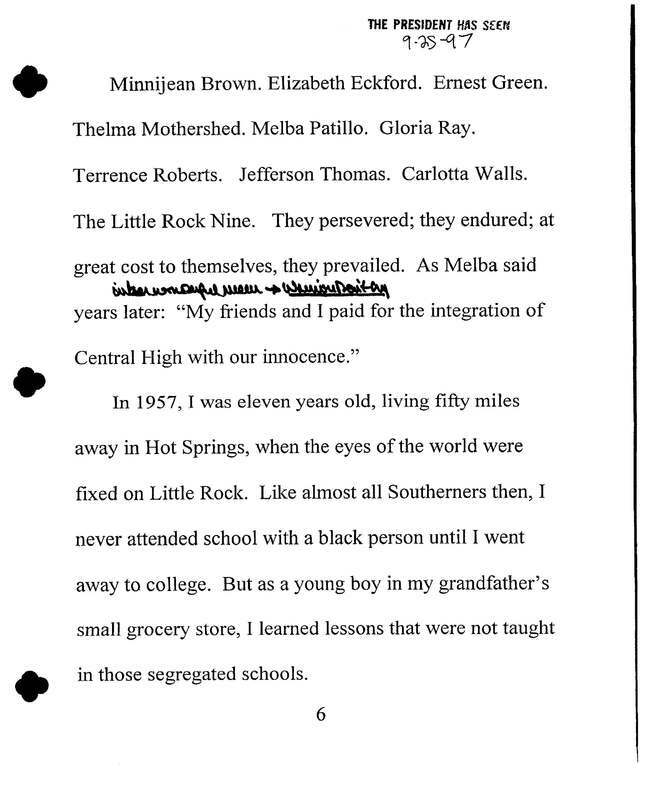 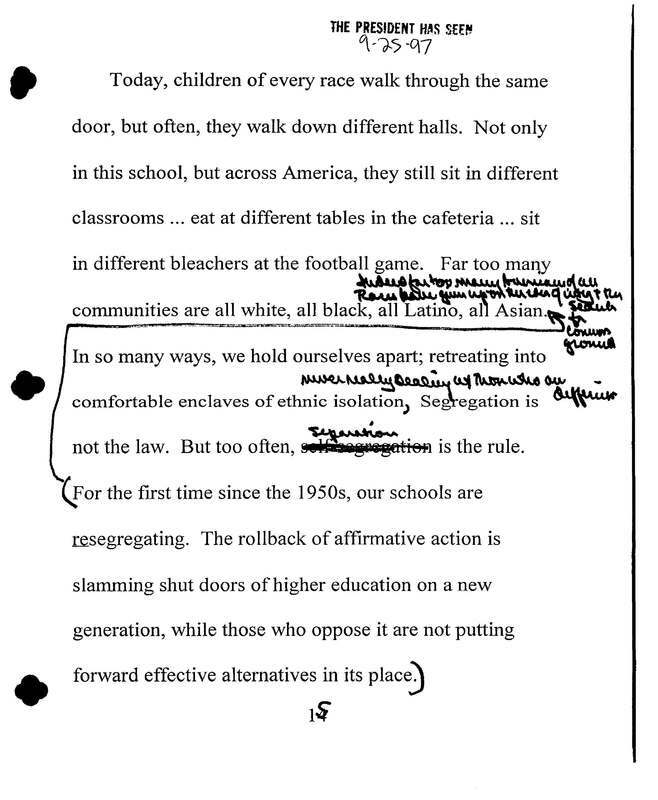 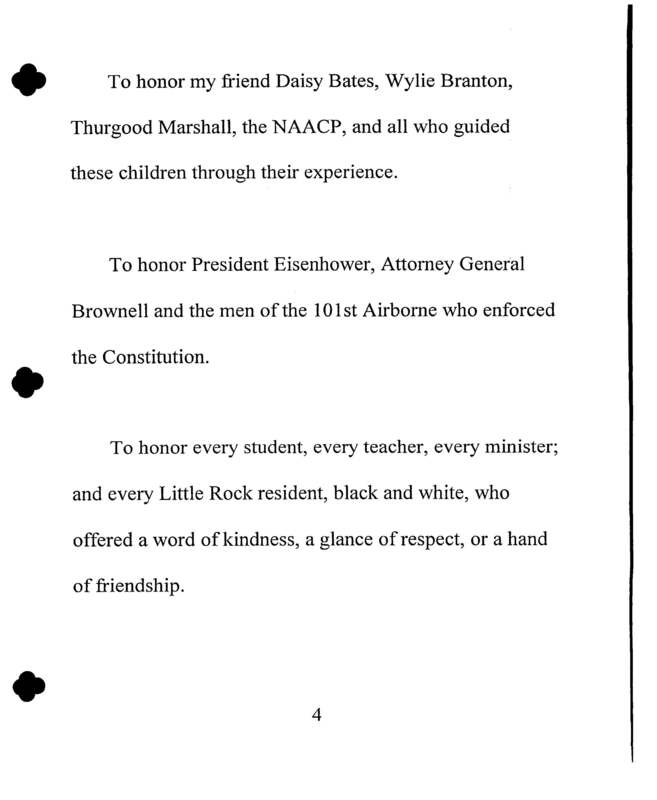 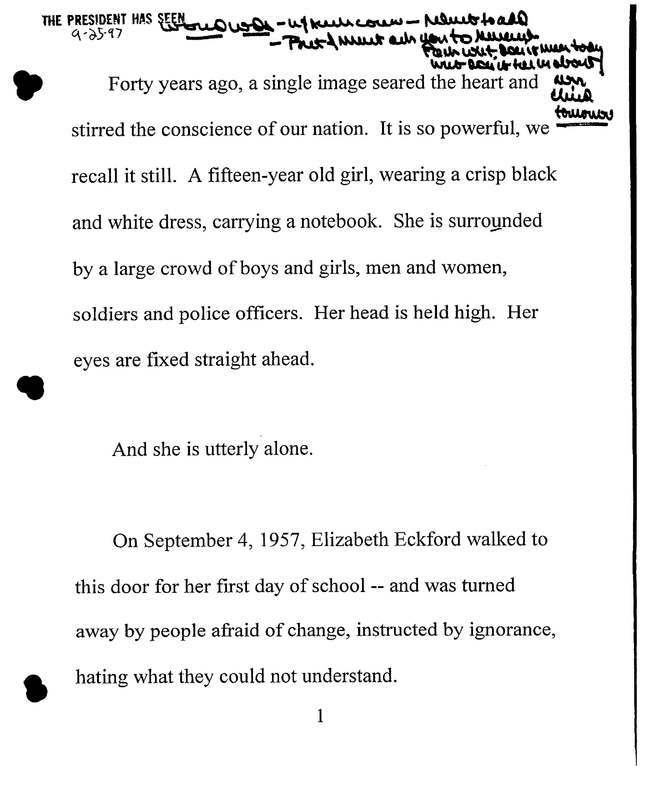 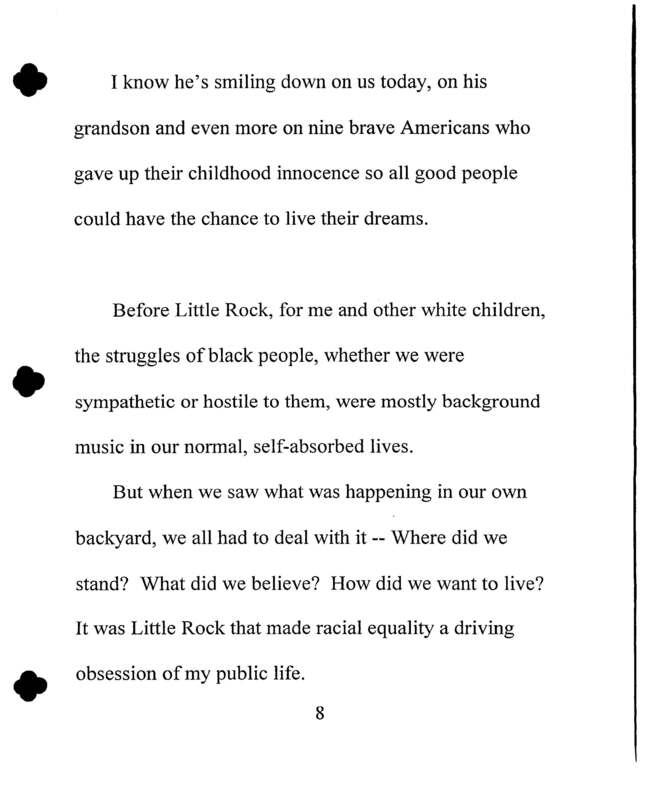 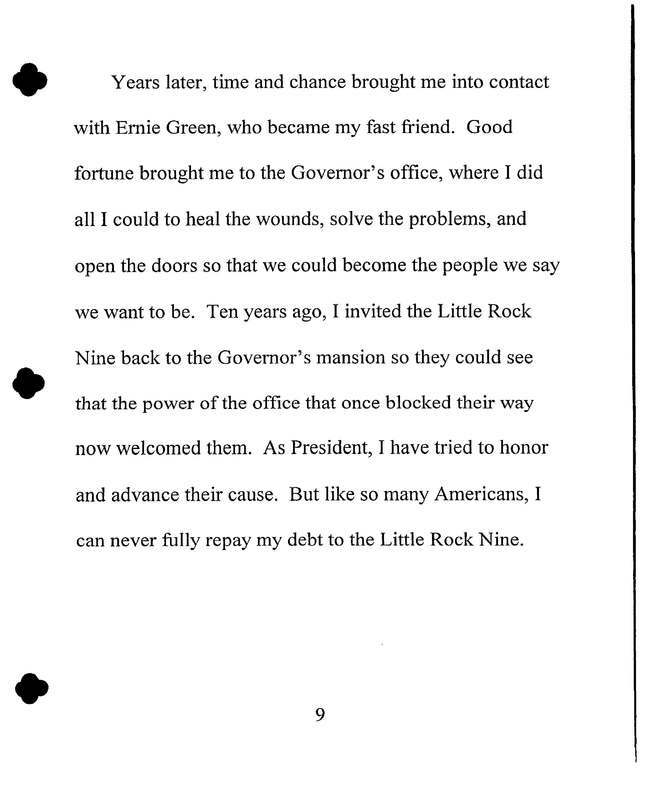 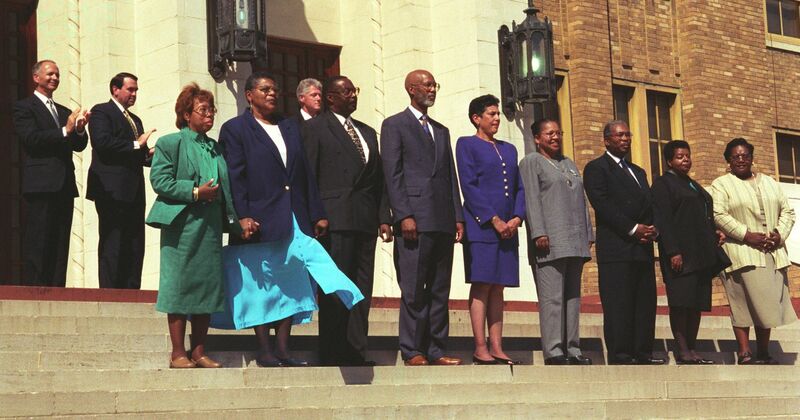 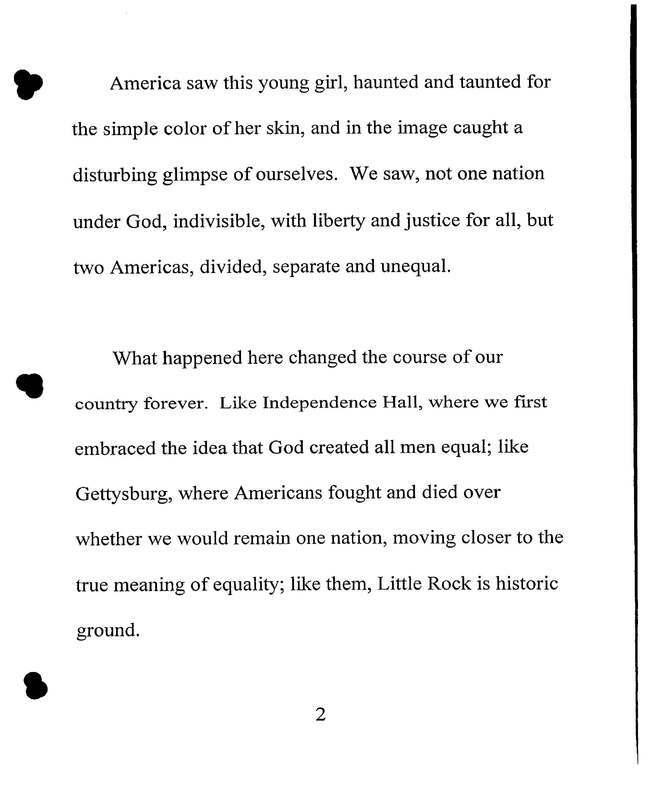 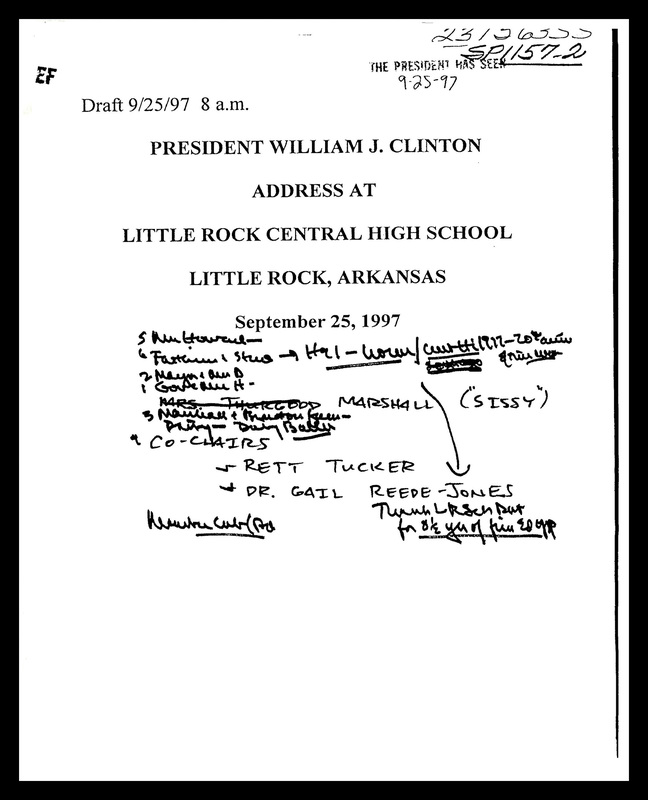 White House Office of Records Management, Subject File, and SP1157-2, “Address at Little Rock Central High School,” Clinton Digital Library, accessed April 19, 2019, https://clinton.presidentiallibraries.us/items/show/56745.